This is the sort of old postcard I love. It shows an impossibly idealized version of the past. This lovely house, with its impeccably manicured lawn and bright, shiny awnings is not a home, but the location of a business. 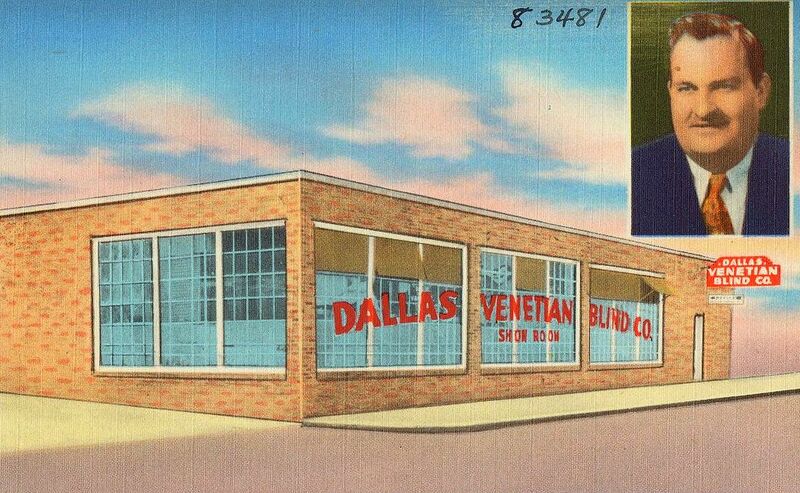 It’s the Dallas Venetian Blind Company, at 1619 Hall Street, a few steps from Ross Avenue. When I see old postcards and photographs of places like this, I always wonder about the people who lived and worked there. So who went to work every day in that cute little house, living and breathing all-things Venetian blinds? 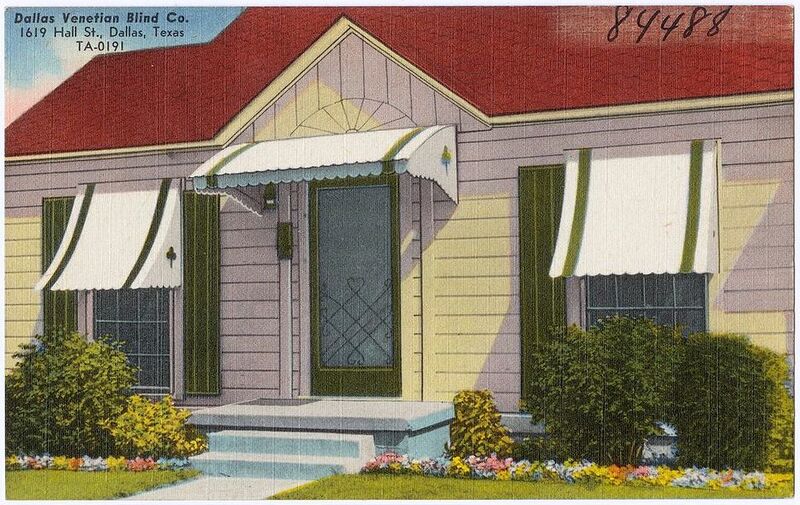 The owner of the Dallas Venetian Blind Company was J.S. “Joe” Herold. He was born in Austin in 1905 and moved to Dallas when he was a teenager. He started out in the floor finishing business and didn’t open his “Venetian blind concern” until many years later, in 1942. He was married, had a daughter, lived on Reiger near Fitzhugh, and enjoyed hunting and fishing. He was a “Square Deal” candidate for an East Dallas seat on the City Council in 1951, running against candidates representing the equally quaintly-named “Nonpartisan Association” and “Citizens’ Charter Association.” By 1960 he seems to have moved to Quitman, still fighting the good fight in the blinds game. But, sadly, far away from this wonderful little house which MUST have had Venetian blinds in those windows, even though I can’t see any! And now, Joe Herold — sit back — this is your life! The showroom, at 3230 Ross Avenue, right around the corner from the cute little house. This expansion had happened by at least 1947.
Business must have been good in those post-war years, because Joe had ads in 1950 boasting three telephone numbers: the main shop, the showroom, and, yes, Joe’s own car phone (which seems very early for car phones)! Postcards from the absolutely fantastic Boston Public Library Tichnor Brothers Postcard Collection on Flickr, here. Click postcards for larger images.